Print Workers Barcelona proudly presents GIVE PRINT A CHANCE. 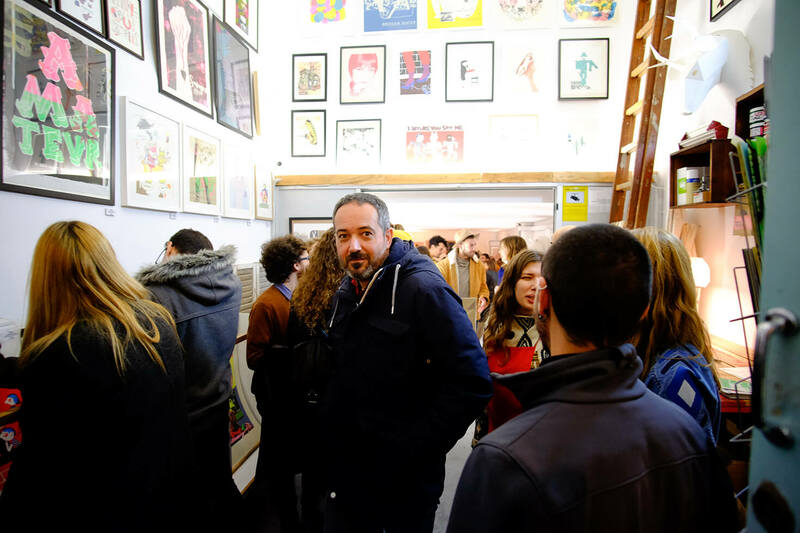 Screen Print Market of Barcelona that this year will celebrate its 5th edition. GIVE PRINT A CHANCE 2018 will be held on SATURDAY 1 and SUNDAY 2 of DECEMBER from 11h to 20.30h with FREE ENTRANCE for the public. GIVE PRINT A CHANCE claims this year more than ever the limited edition and the artisanal printing. A true BACK TO BASICS that takes us to double efforts in making an exquisite and more than ever demanding selection of local and international artists that you will meet firsthand in our exhibition and sale space: the headquarters of Print Workers Barcelona. Expanding space for your convenience to the nearby Visions School, – also located in the Gràcia neighborhood, just 5 minutes from Print Workers – if necessary. As every year, GIVE PRINT A CHANCE will open the Christmas Markets Calendar. And in Barcelona many markets are held for Christmas but none dedicated exclusively to the SCREENPRINT. 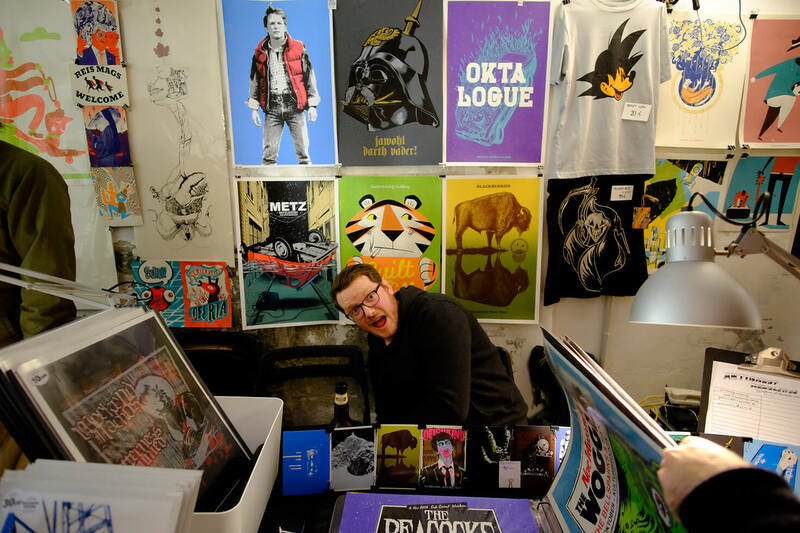 GIVE PRINT A CHANCE is an authentic SCREEN PRINT MARKET with STANDS of local and international ARTISTS. An unmissable event for lovers of the limited edition 100% handmade and excellent opportunity to find your ideal gift for Christmas. To warm up engines here you can see PHOTOS OF THE LAST SUCCESSFUL EDITIONS: 2017, 2016 y 2015. We will enjoy an authentic WHO IS WHO of the SCREENPRINT in BARCELONA and European & Latin American GUEST STARS. The best of the international & local young scene. And of course the WORLDWIDE SELECTION OF SCREENPRINTS from the nice and lovely shop of Print Workers Barcelona. With works & pieces by more than 100 ARTIST FROM AROUND THE WORLD . Also in the particular exhibition space that is our ATELIER you will enjoy the INTERNATIONAL COLLECTION OF MÁCULAS & TEST PRINTS OF BARCELONA: a collection of authentic luxury of maculas and test prints. Pieces out of edition that come from the mistake and that reflect exuberantly the effort and work that supposes the edition by hand in silkscreen. Very soon we will announce the COMPLETE LINE UP OF ARTISTS selected from our OPEN CALL and that will have their own STAND of SALE and EXHIBITION. 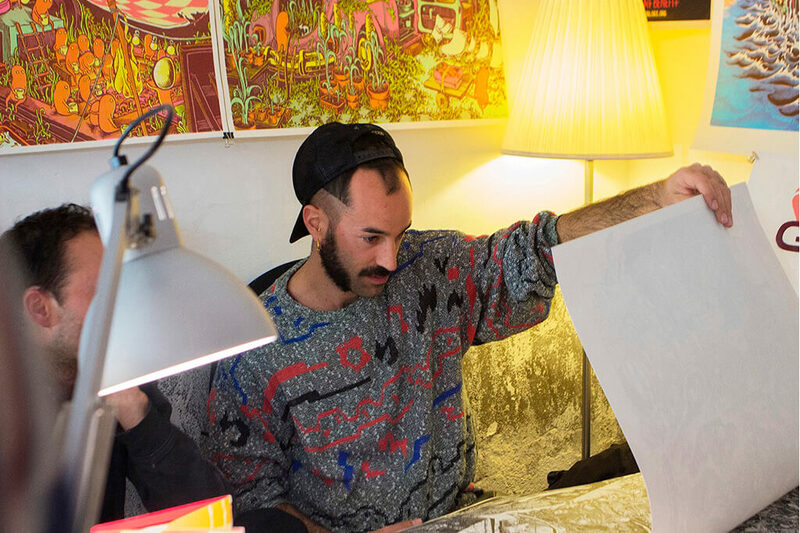 Thanks to the collaboration of RESAInn Residences we will be able to offer FREE ACCOMMODATION to non-resident artists during the celebration of the Market. All this in exchange for graphic work of first quality. Of course a local beer will also be collaborating to celebrate a proper event and live music will be generously provided by Salvadiscos DJs. Thanks to the collaboration of VOSTOK PRINTING SHOP, Duduá, serieBcn, Time Out Barcelona, Le Cool Barcelona, BcnTrendMap, On Barcelona & El Periodico, ScannerFM, BCN MES, na sua lua, Opening Bcn, BcnLastCall, Artssspot BCN, Moobit Barcelona and maumaubarcelona.